The Heretaunga Plains of Hawke’s Bay are resource rich, and the value of the water and soil resources to the economy and the well-being of the community has changed little over time. However continual growth in the residential and industrial sectors has led to increasing competition for these resources. 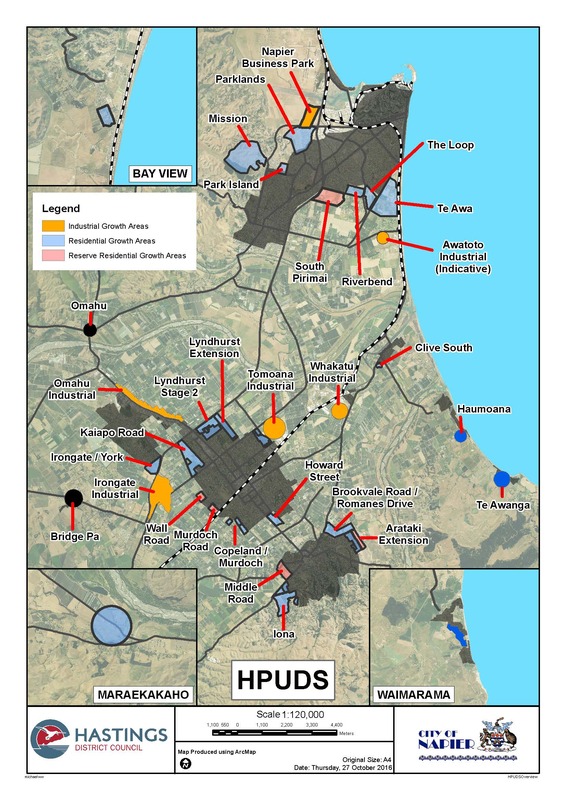 The Heretaunga Plains Urban Development Strategy is the result of a collaborative approach by the Hastings District Council, Napier City Council and Hawke's Bay Regional Council towards managing urban growth on the Plains from 2015 to 2045. The joint Strategy was first adopted in 2010, then a reviewed version re-adopted by the three councils in early 2017 (HPUDS2017). 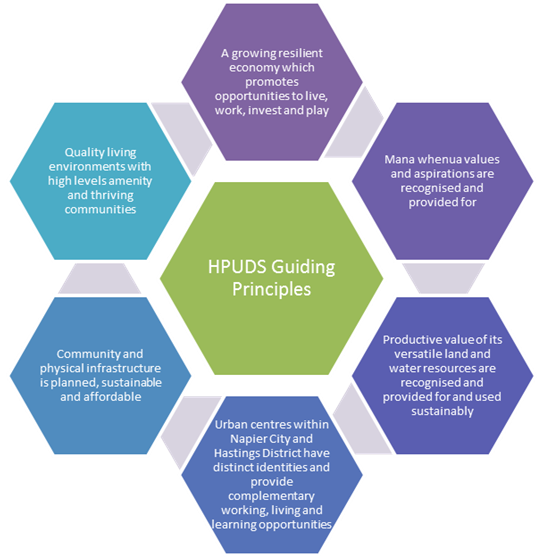 The original HPUDS2010 brought together the separate urban development strategies that both Hastings and Napier had in place from the 1990’s through to 2015. The revised HPUDS2017 updates the original joint strategy to accommodate and adapt to new growth projects, demographic changes and market drivers for housing and business land needs projected over the next 30 years. 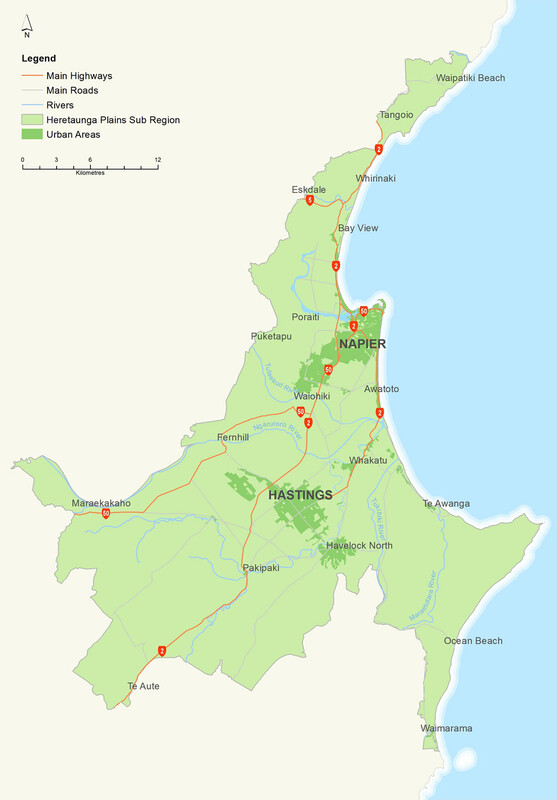 The area covered by the strategy includes Napier and Hastings cities and outlying suburbs, plus the small coastal and rural settlements from Whirinaki and Bay View to the fringes of the plains such as Maraekakaho, Puketapu and Pakipaki. HPUDS2017 and its 2010 predecessor take into account a large number of global, national and local influences including climate change, peak energy, transport efficiency objectives, and national environmental standards plus, at a regional and local level, demographic and employment projections.